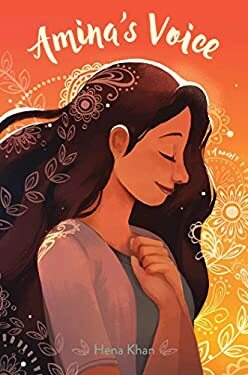 A Pakistani-American Muslim girl struggles to stay true to her family's vibrant culture while simultaneously blending in at school after tragedy strikes her community in this sweet and moving middle grade novel from the award-winning author of It's Ramadan, Curious George and Golden Domes and Silver Lanterns . Amina Khoker has always been a shy kid, but she's never been interested in being popular. She is happy just hanging out with her best friend Soojin Park. Except now that middle school has begun, everything seems to be changing. Soojin is thinking about changing her name to an American one, and it makes Amina feel like the odd one out. It doesn't help that Soojin has recently started hanging out with Emily, one of the ""cool"" girls from their class. Does this mean Soojin is moving on? Will Amina have to become more American too? What does it mean to be American? While Amina struggles to answer these questions, her community is shocked when their local mosque is vandalized. Amina's Voice brings to life the richness of Pakistani culture and highlights the many ways in which a diverse community can come together to show love and support for each other. New (532 available) BRAND NEW. Over 1.5 million happy customers. 100% money-back guarantee. Make your purchase count: support Better World Books' worldwide literacy partners.